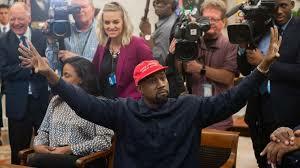 We discuss the news of the day, including the financial markets’ reaction to increasing interest rates, the Senate confirmation of 15 more federal judges, and the outrageous media reaction to Kanye West’s visit to the Oval Office. We visit with the co-founder of the Florida Citizens’ Alliance, Keith Flaugh, about the culture of academic mediocrity maintained by Florida Public Schools. We visit with Sharon Kenny, the author of “Where Should We Eat?” about the impact of red tide and Hurricane Michael on Stone Crab Season and the quality and price of restaurant seafood. We also get a union update from the author of “The Devil at Our Doorstep,” Dave Bego.